Box Text: The Original Music Game Comes Back for a PSP Encore! 04-04-2014 teck Box Text The Original Music Game Comes Back for a PSP Encore! 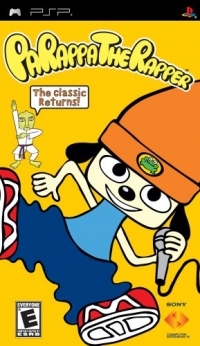 Join Parappa and learn how to flow from the "Rap Masters" to become a true Hip Hop Hero! 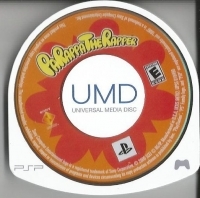 Hit buttons to the beat of all 6 original songs that made Parappa an instant classic and discover all new PSP exclusive features including- Ad-hoc Multiplayer! Downloadable remixes! Gameshare Demo! 09-15-2012 moonlightvalkyrie Box Text The Original Music Game Comes Back for a PSP Encore! Join Parappa and learn how to flow from the "Rap Masters" to become a true Hip Hop Hero! 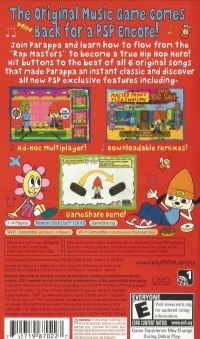 Hit buttons to the beat of all 6 original songs that made Parappa an instant classic and discover all new PSP exclusive features including- Ad-hoc Multiplayer! Downloadable remixes! Gameshare Demo! This is a list of VGCollect users who have PaRappa The Rapper in their Collection. This is a list of VGCollect users who have PaRappa The Rapper in their Sell List. This is a list of VGCollect users who have PaRappa The Rapper in their Wish List.